You live in an interdependent society. One way or another, you are bound to go out and socialize. People say meeting and getting to know others who possess the same train of thoughts as you are is greatly rewarding. You can either make a friend out of them or a romantic interest out of them. However, even though many claim that amazing things happen when you are outside your doors, there are also many who claim that true bliss is often accomplished in the comforts of their respective homes. So for those homebodies out there, here are a few thoughtful tips on how to enjoy yourselves at home. How long has it been since you taught yourself something new? The world is vast and somehow endless, but your time is limited. Before you know it, you’re already far too late to do the things you wished you should have done when you were younger. On your days off, if you don’t want to go out with your friends, try to get into something that’s completely new to you. It could range from learning how to dance to learning how to change a light-bulb. If you’re a bad cook, try learning simple recipes for a start. 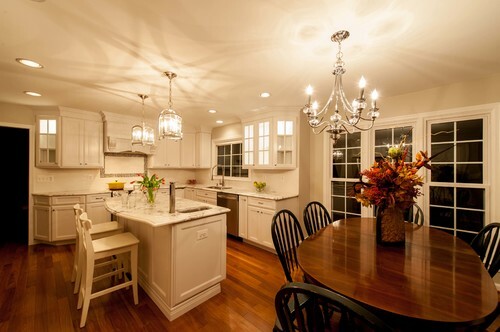 Complete kitchen remodeling is an effective trick that will make you fall in love with your kitchen. Are there things you’ve always enjoyed doing? Some introverts find the sole company of a good book immensely entertaining. Books are powerful materials that are capable of educating and motivating people. It also offers you a glimpse of imaginary worlds and characters. If you happen to be a bookworm, make your own mini library. Build your book collection and watch it grow. Make use of your wasted basement space and turn it into your sanctuary. 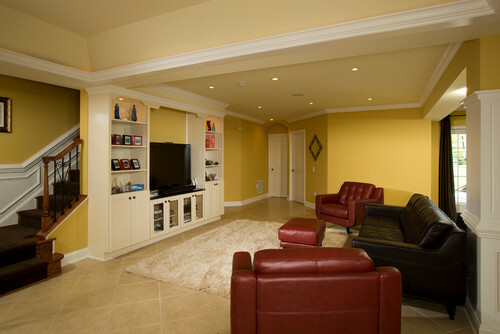 Basement remodeling from Michael Nash Design, Build & Homes transforms old, dusty places into award-winning rooms. You don’t need a buddy to go on adventures. Sometimes, unforgettable moments are best experienced alone. The next time you get a whole day for yourself, try doing something outside your comfort zone. Did you know that being a woman is, in itself, adventure enough? Even women themselves find it difficult to appease their inner goddesses. Instead of paying expensive gym memberships to tone your body the hard way, try treating yourself gentler. Spend your money on a luxurious bathroom remodeling service. Every woman deserves to feel like a queen once in awhile. A fancy bathroom will totally make up for that. Tell your friends that homebodies are not exactly boring people. They know how to have fun too. They just somehow choose to spend it in their homes. On times when you feel like partying but the thought of a crowded night club puts you off, consider expanding your home. Home additions from Michael Nash are one of a kind. Their designs and functionality won national and regional awards year after year. If you have an extra space in your property that is facing the sun, build your additions remodeling project there. A spacious room with full-sized glass doors and windows will look grand as a party venue.